Join other ERC Members for coffee, breakfast and networking! 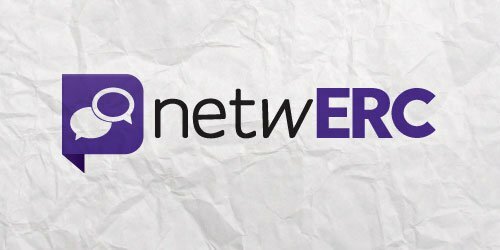 netwERC is a program for ERC Members only and provides an opportunity to meet other ERC Members, network, and share ideas in a safe and friendly environment. netwERC groups meet in several locations, including east-side, west-side and downtown Cleveland and Akron. We also invite you to Bring a fellow HR Professional! Register a co-worker or friend from another organization that works in HR, and you will be entered into a drawing to win a $25 Gift Card and a $50 Credit towards training from ERC! ERC is excited to offer two new, free services to ERC Members! These new services are direct results from feedback provided by ERC Members. Our new netwERC Groups are exclusive networking events for ERC Members that provide an opportunity to meet other HR practitioners in your area, network, and share ideas. These events were first held throughout the month of March with many ERC Members as hosts. We thank the ERC Members who joined us for making these events so successful, and invite all ERC Members to join us again in June for the next round of netwERC Groups. We hope to see you there! Due to our members’ growth of international operations and questions about how to manage employees outside the U.S., another new service that ERC is proud to provide to our members is the addition of several new global HR resources available through our HR Help Desk. ERC members can now receive guidance on HR policies and practices in other countries, international compensation data and employment law, and managing global employees or assignments. We thank our members for providing suggestions and feedback in helping to shape ERC membership. If you would like additional information on these services or additional resources available through ERC Membership, please contact the ERC Membership Team at membership@yourerc.com or 440/684-9700.